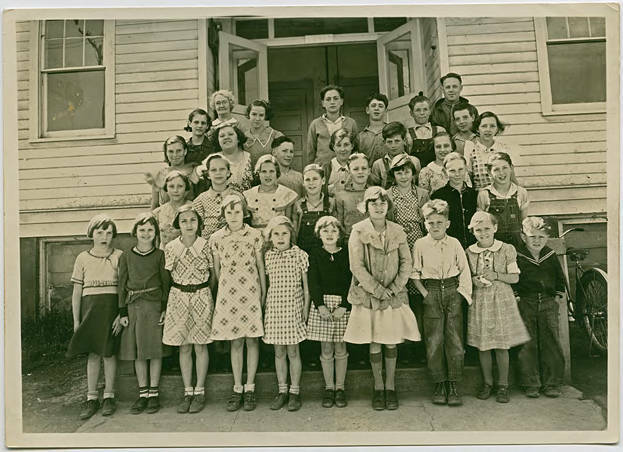 Black and white photo of a group of students gathered on the front steps of their school. Their teacher stands at the top of the steps on the image left, and a bicycle is partially visible to the right of the steps on which the students stand. Part of the community named for Oregon pioneer Joseph Gales, once a resident of the area, Gales Creek School was established in 1859 and served students until the of the 2010-2011 school year, when it was closed due to budget cuts in the Forest Grove school district. [back] [pen] 25 [cents] each. Enclosing check for $3.50 for 12 # pictures this print. George F. Ray. 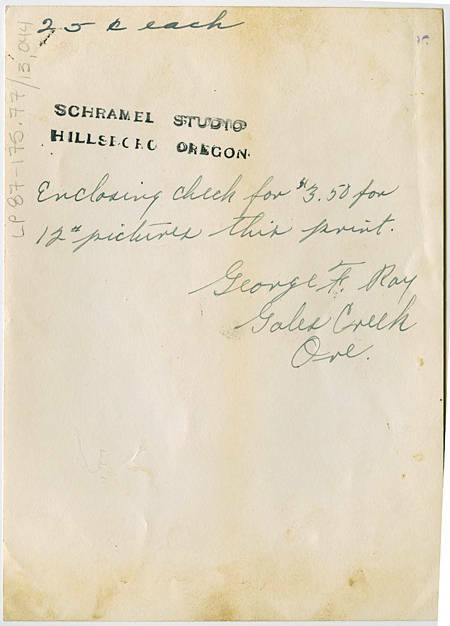 [stamped] Schramel Studio, Hillsboro, Oregon.